1: The club were formed in 2007 as a result of the merger between Hayes and Yeading - 2 sides who played in the Conference South. 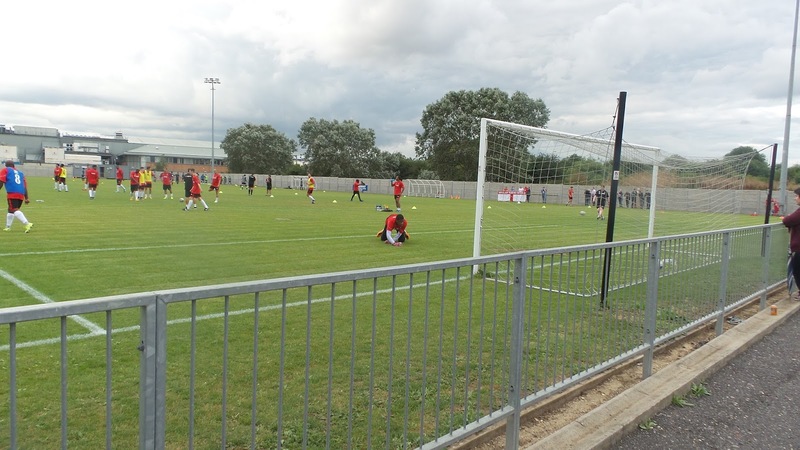 2: Initially playing at Hayes wonderful Church Road they left in 2011 after selling their ground to Barratt Homes. Due to the financial downturn they did not get as much as they would have liked for the ground and as such spent 5 years sharing at Woking and Maidenhead United while the funds were accrued to redevelop Yeading's ground into a home fit for the new team. 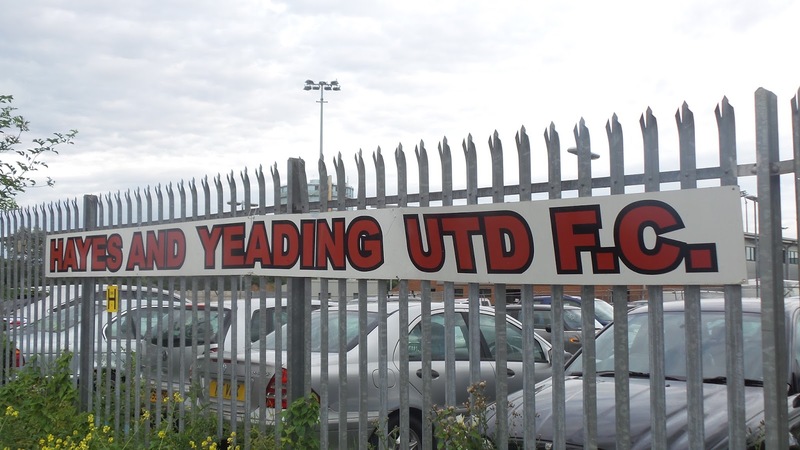 3: Taking Yeading's place in the Conference South, they finished 13th in their first ever season. The following year they reached the Conference South Playoffs - beating Eastleigh 6-4 in a 2 legged semi-final before defeating Middlesex rivals Hampton & Richmond 3-2 in the final. 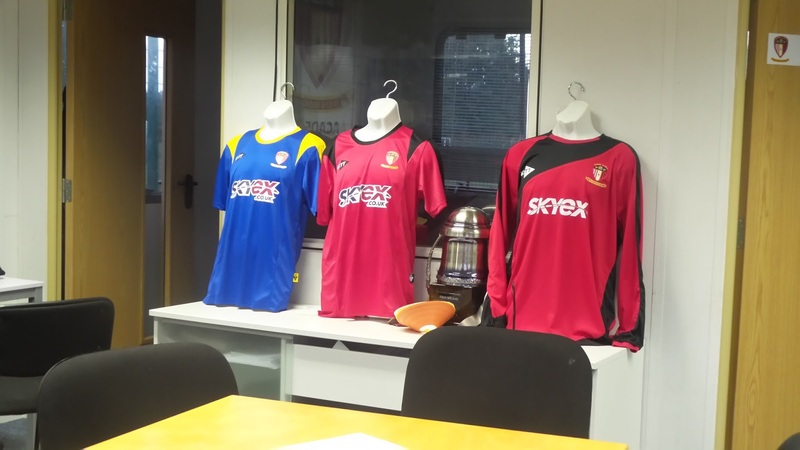 They would return to the Conference South in 2012, following a 3-year stint in the Conference National. 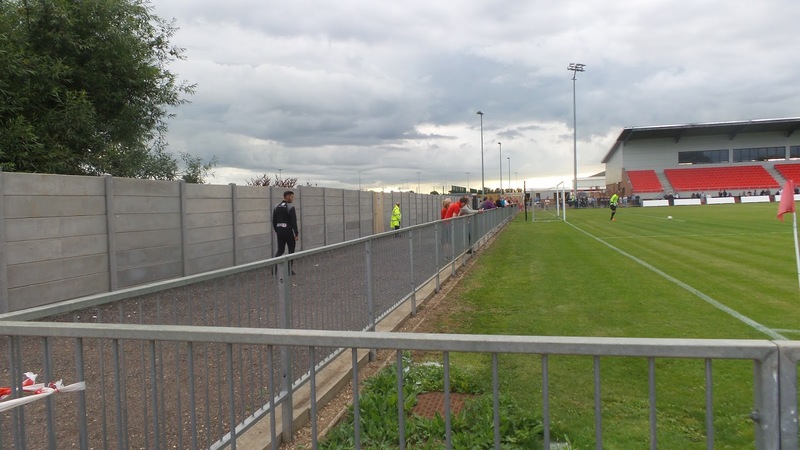 With little income, they struggled though and after years of battling the odds were relegated to the Southern League for the start of next season. 4: The club spent 3 seasons in the Conference, upsetting several bigger teams. 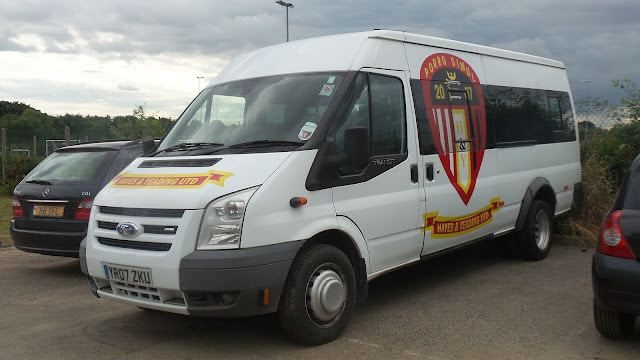 In their final season in 2011/12 they were in and round the top half up until October before fading away due to financial issues and were relegated with a couple of games of the season remaining. 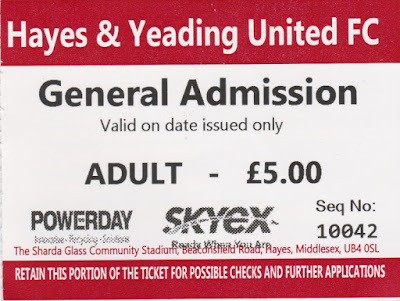 5: Since the merger the best progress Hayes and Yeading have made in the FA Cup has been the first round. 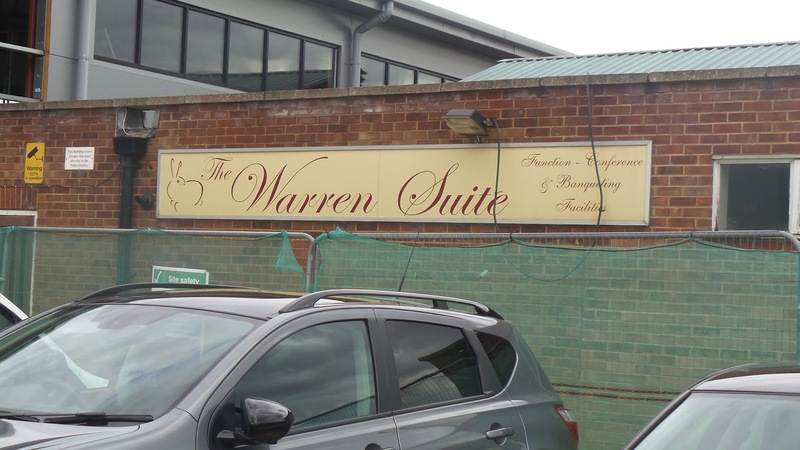 This came ibn the 2010/11 season when they were only eliminated by a last minute goal against Football League side Wycombe Wanderers. 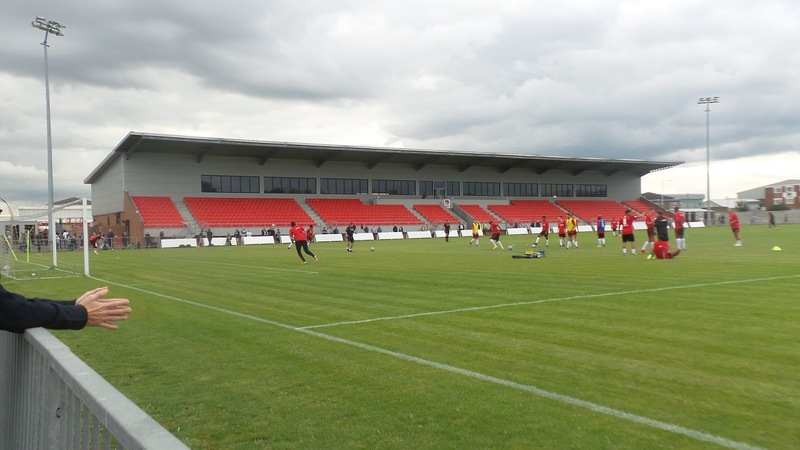 6: The FA Trophy had not been a happy hunting ground for the club with the best they could manage being a 2nd Round apperance in 2008/09 where they lost 4-0 to AFC Telford United. 7: A number of well-known players have represented the club. Former Liverpool and Coventry defender Phil Babb was manager for a time, while former Birmingham defender Darren Purse played for the club last season. 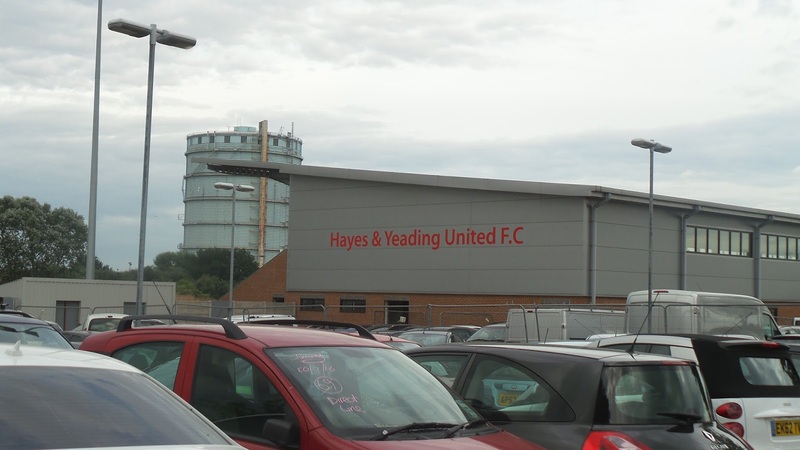 8: Hayes and Yeading have several links with my team Wycombe Wanderers. Former youth player Steve Gregory was a playoff hero as he notched twice in the 2009 win over Hampton & Richmond. More recently current QPR keeper Matt Ingram played for the club on loan as part of his preparation for league football. 9: Hayes & Yeading reached the final of the 2011 Middlesex Senior Cup, losing 2-1 to Staines Town. For 5 long years Hayes and Yeading have had no place to call home. Questions might be raised over the deal they got on the sale of their Church Road home, but they have done remarkably well to keep the club going, given their tiny crowds and struggles on field. 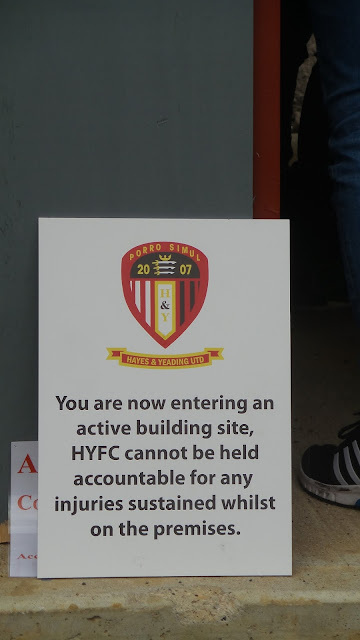 Where other clubs have fallen by the wayside, they have managed to stay alive. Their long suffering and loyal fans have suffered greatly and it has been a long wait to return home. After several false starts, the green light was finally given to return and ever since the game was announced a month ago I have had it in my plans to visit. 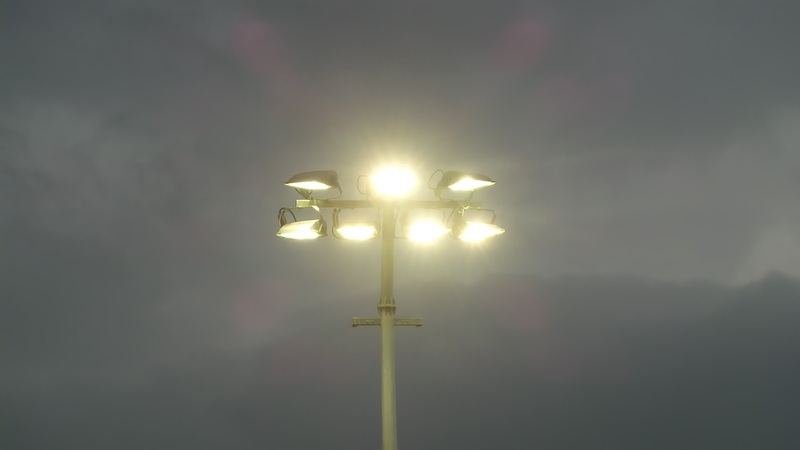 The club took the eminently sensible option of scheduling the game on a Friday night when several casual observers and groundhoppers can attend and I was glad that I could attend such a historic occasion. 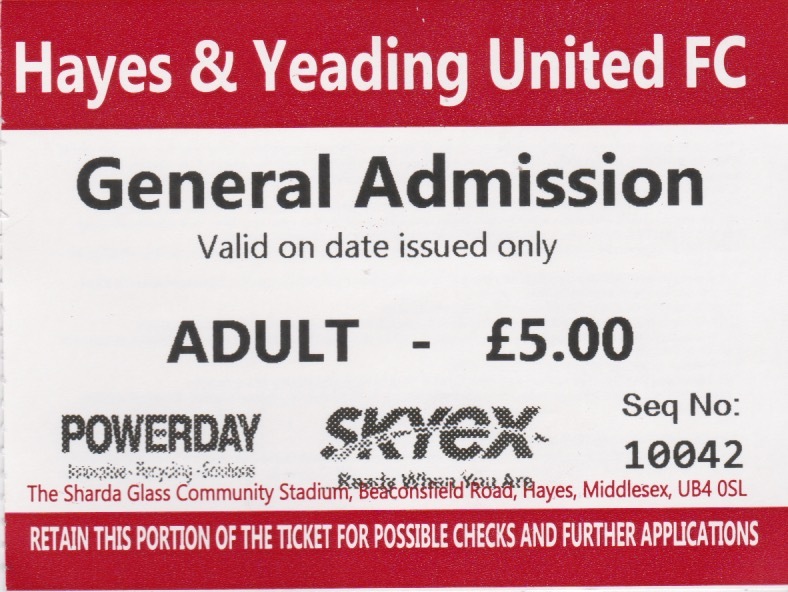 Sensible pricing of £5 for tonight's game and a bargain £99 for season tickets will hopefully win some of the lapsed fans back and push them on to greater success on the field. On the day of the game it was very easy day at work and I was finished by 11. I went home and sorted my car insurance, which cost £380 to renew, with most quotes wanting double that, so it looks a good deal. I also priced up a new PC with my current iMac looking a bit long in the tooth. I found one that would be pretty high spec for £515 although the project may be put on hold as I can only get £350 for my current machine, which is at least current for now. I caught up on a few other things, and after having a dinner of pork chops, left home at 6.20. It was a surprisingly good journey over to Hayes for a Friday evening with the only delay being when I got off the A40 and driving into Hayes. Despite last driving the route over 5 years ago it was instantly recognisable as I'd done it a few times before, what with me living in nearby Greenford as an infant. 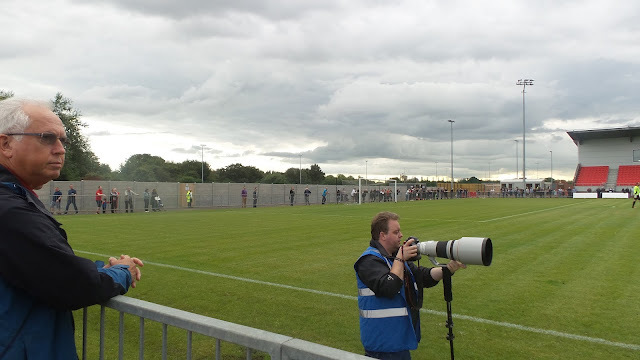 I got to the ground at 7.15, parking up and getting some pictures before paying a fiver to get in. 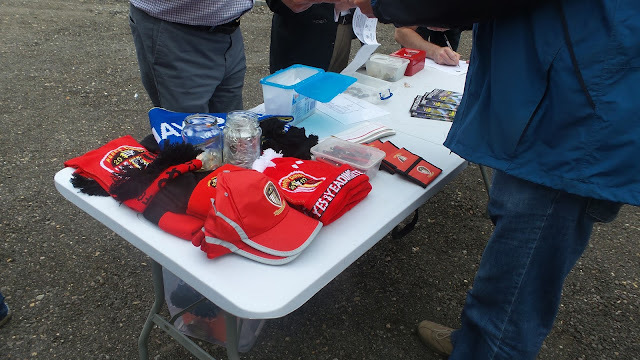 There were basic refreshments and a merchandise stall but it was very much a case of make do and mend with considerable work to add the finishing touches to the ground. I saw Hayes fan Corey who I'd not seen since they played Bath in 2013. He'd enjoyed a few beers to celebrate coming home and was in good spirits as he met up with the rest of the Hayes faithful. Team news for Hayes saw former Wycombe midfielder James Harper line up for them. Harper gave the funniest and most entertaining interview upon signing for the club a few years back. Sadly it was his best performance in a Wycombe shirt as he struggled for fitness and never really shone at all in his Adams Park career. I didn't recognise any of the Hendon names but it was they who started on the front foot as Hayes played their first proper home game in 5 years. 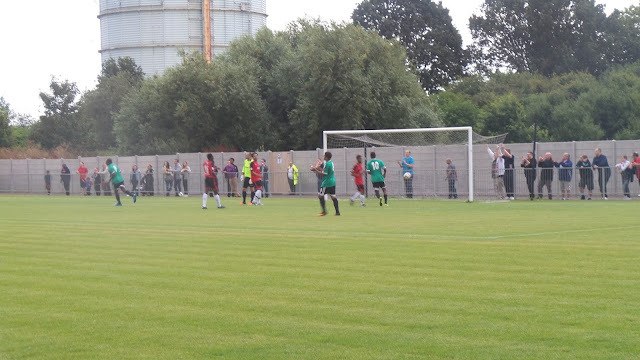 The hosts started nervously and Hendon had already missed a couple of gilt-edged chances by the time Dale Binns' precise left foot shot had crept inside the far post with around 10 minutes gone. 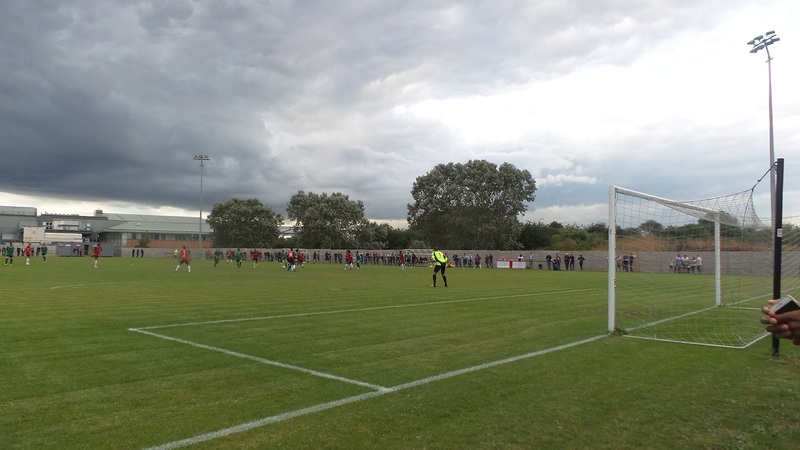 The onslaught continued, bar the occasional chance on the break and it was no surprise when the visitors made it 2-0. This time, it had a touch of the spectacular about it as Spencer McCall's free kick flew in from 30 yards. 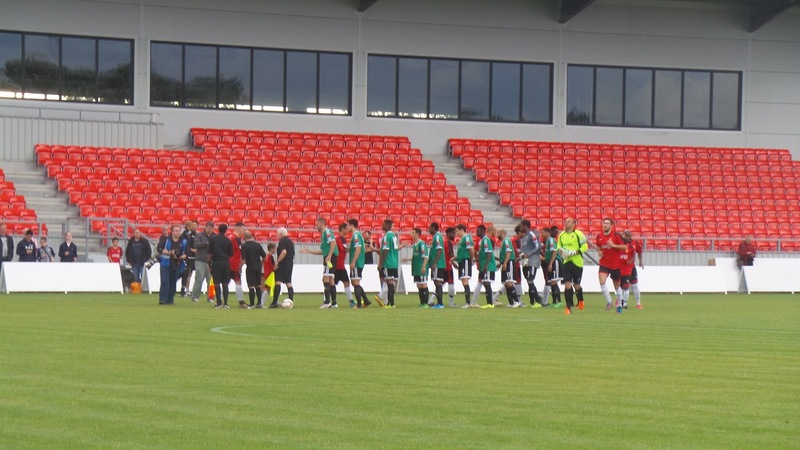 The second half saw the hosts rally at the start but it was soon back to Hendon being in the ascendancy although they seemed content to see out the game. Hayes were unlucky not to get a first goal at home with around 10 minutes to go as a diving header was well saved by the Hendon keeper in their best chance of the game. 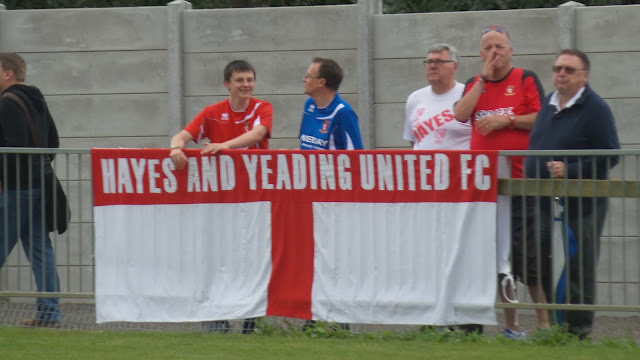 So then, a welcome return home for the Hayes and Yeading fans. This might not have been the result that they wanted but coming home is a major step forward in them rubbing out the pain of the past few years. 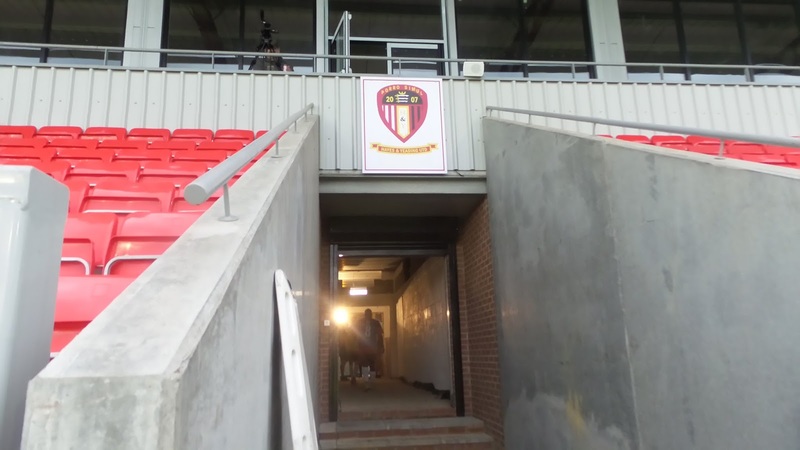 Whether the move home will translate into form in the Southern League is anyone's guess, but tonight's showing suggests there is much work to be done should they wish to return to the Conference South. I'd had a good evening anyway and had a fairly simple trip home. Less than a fiver in petrol both ways and I was back home by 10. 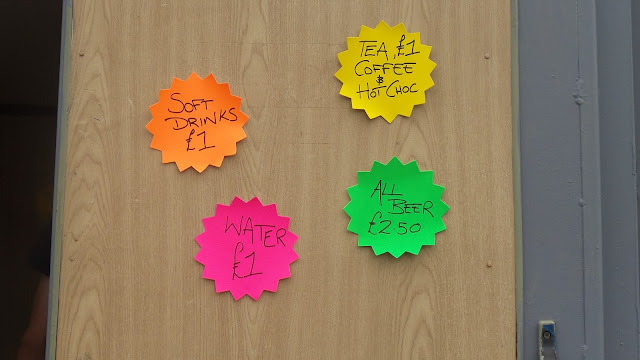 I had a few cans before bed, looking forward to a revisit to Maidenhead along with the town's beer festival tomorrow. 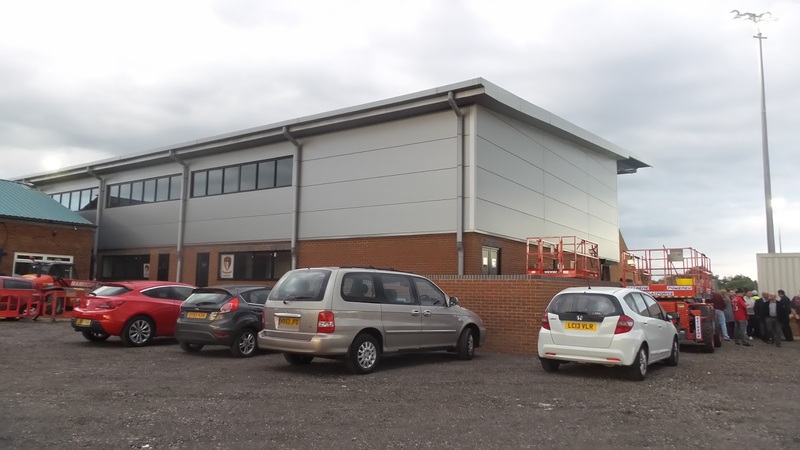 The SkyEX COMMUNITY STADIUM is very much a work in progress. 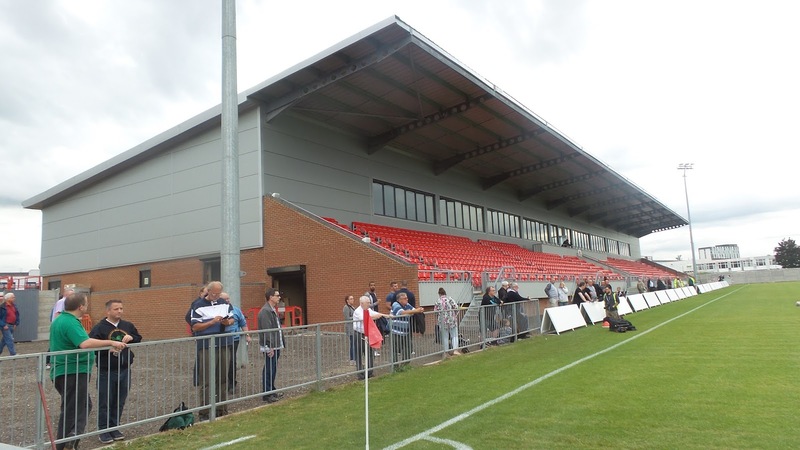 The only stand there is not a bad start though - a large seated affair that would not look out of place in League 2 or the Conference. The rest of it though has not even got proper tarmac and is all flat hard standing. 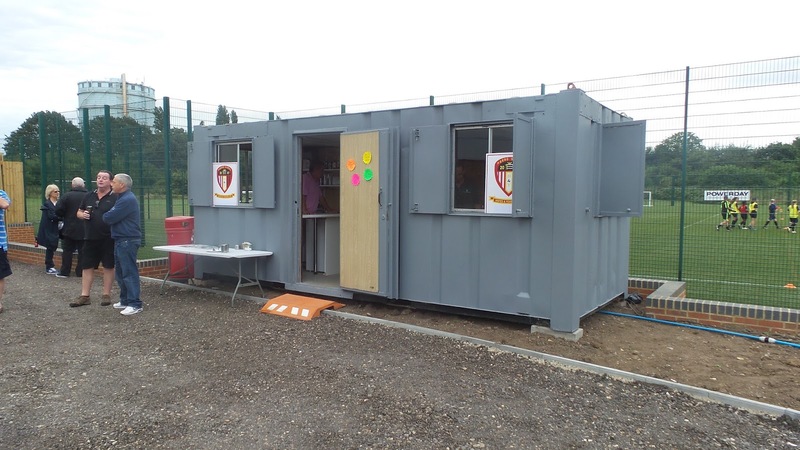 They might not be able to transport the magic of Church Road here, but the terrific club shop will no doubt eventually make its way across. All the facilities were of a temporary nature tonight, so I'll be making my way across once everything is in place to make a proper judgement. In any case, the club are back home, and all the better for it.